Welcome to this week’s breakdown of the High School Sports Beat, brought to you by Alfred State College. 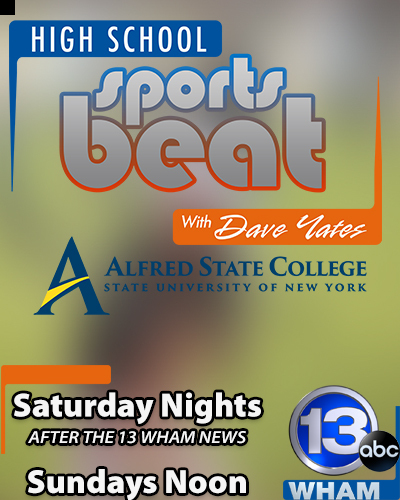 Many thanks to Alfred State College for joining the Sports Beat family, and helping to bring weekly coverage of Section V High School Sports to broadcast on 13 WHAM. Now, here’s your behind the scenes look at the production, from the producer and the shows many contributors. It’s week 32 of the Sports Beat season, and many of the spring teams are heading south for Spring Break. We begin this week with a look back story… to May 2014. We re-visit the Glavin Races, at the Hilton Cadet Classic. Here’s our story, now expanded with some new footage, with new graphics and color correction… it’s a remastered story, with our Hall of Famer Bill Pucko. Among the track competitors featured, Josh Dyrland went on to run at Cornell for 4 years, including a 50th overall finish as a Senior, and number 2 among Cornell runners, at the 2018 NCAA Northeast Regionals. Mickey Burke ran for Syracuse, and Katie Lembo went on to star at Providence. Donovan Glavin, just a sophomore at the time of our story, is now a junior at Canisius, studying abroad for the year. 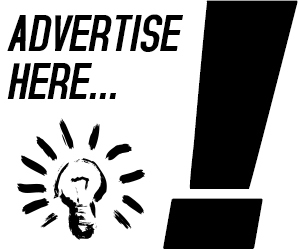 Paul Gotham from Pickin’ Splinters joins Dave Yates for the Dunkin High School Notebook. Paul talks some early season match-ups in Section V Baseball – including Canandaigua Baseball. Kyle O’Gara is up next with our Making the Grade nominee, Jake Fusare – who attends and excels at Honeoye-Falls Lima while playing volleyball for Penfield. The Section V Spotlight shines this week on some early lacrosse performances, from Section V and some alums in College. Our top story this week begins with the legacy of Coach Ed Nietopski, and continues on to his grandson, a two-sport star at HFL, Ben Sousa. Nietopski, a legend in Basketball and Baseball in Section 5, continues to influence his grandsons, with Ben and younger brother Jon, playing varsity baseball for the Cougars. And that’s a wrap on week 32! Be sure to check out the full episode– and tune in Every Saturday night on 13 WHAM after the late news, and on Sundays at Noon. We leave you this week, with an Insider weekly feature – looking back at some of our stories from the past 7 years. From March 14, 2012 – a look at the Bishop Kearney Boys basketball team, and carrying on the tradition established by Ed Nietopski, and then followed by Head Coach John Boon. The story was also our first look at then freshman, Thomas Bryant – who just completed this season as the Washington Wizards all-time best Field Goal percentage shooter.